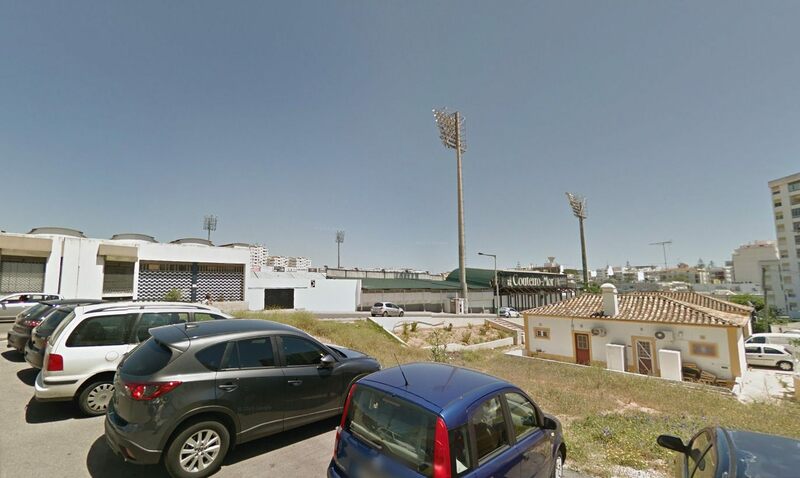 The stadium was built in 1923 by a returning Portuguese migrant to the USA, Manuel Santo. 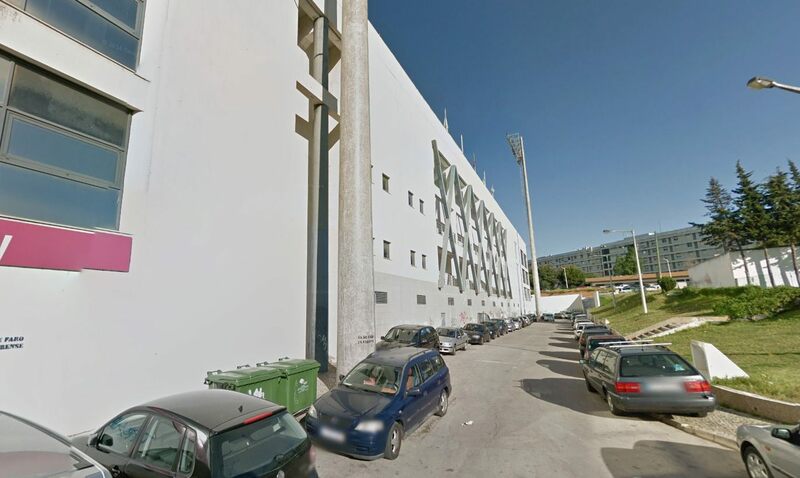 Under awe of the United States, he called the ground Santo Stadium (in English), though the name didn’t prove popular. By 1930s it was commonly known as São Luís, from the nearby 17th century church. 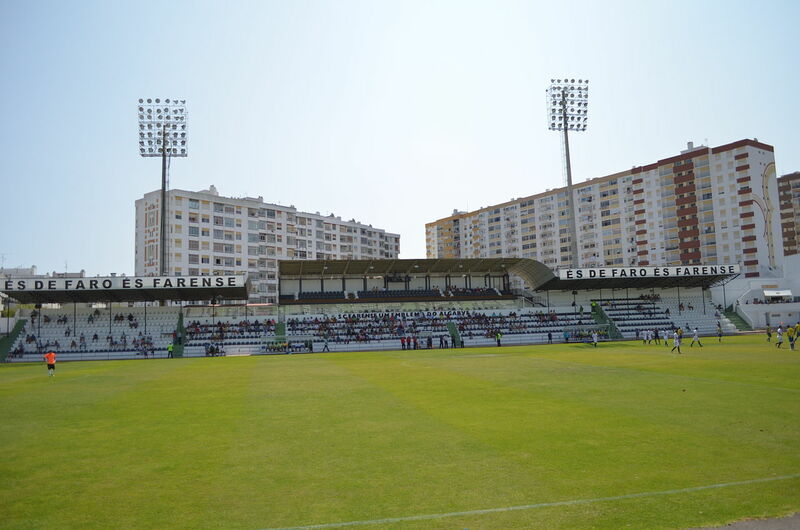 The biggest club in Faro, Farense, has been playing here almost constantly since 1924, regardless of ownership changes. 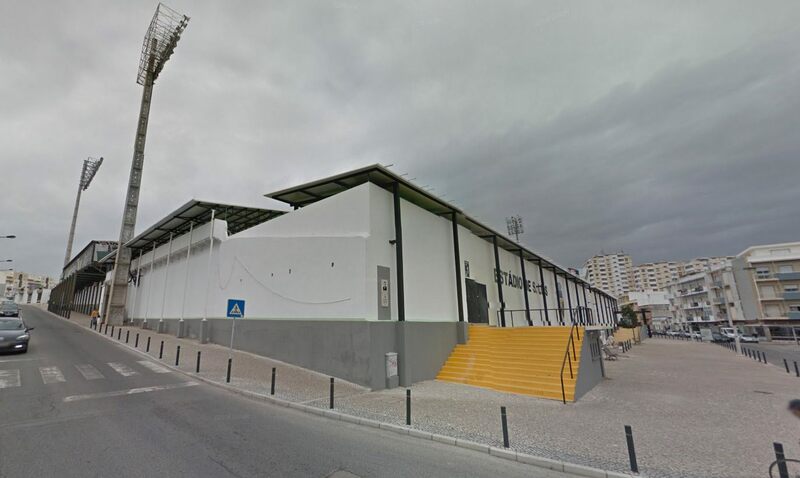 And there have been a few, because Santo sold the stadium to another entrepreneur (E. T. Lopes) in 1942, who later transferred it to the municipality in 1957, leading to the city of Faro offering the building to Farense free of charge. 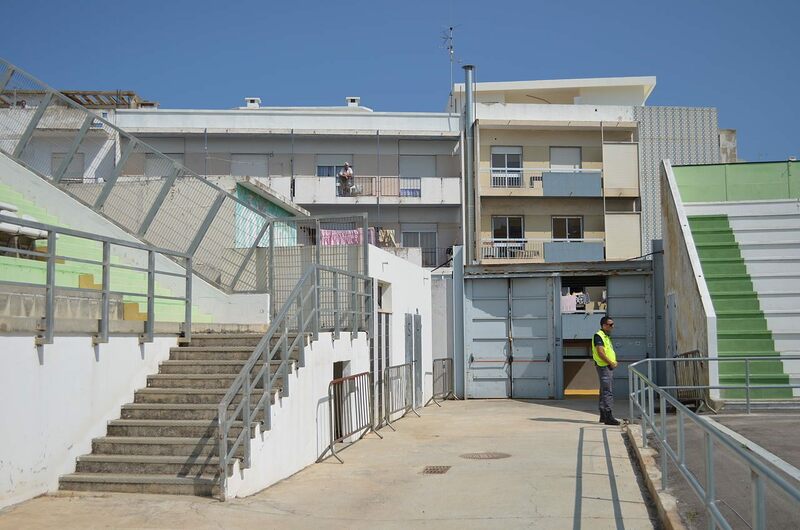 Since 1986 the club is thus the sole owner. Due to its difficult topography and existing road network, the stadium’s west, north and south stands cannot be expanded. It was thus decided in 1990, when the ground was about to host the 1991 U20 World Cup, to build a large east stand. Uncovered and fully seated, the stand houses retail outlets inside, generating additional revenue. Further funds were generated from several concerts over the years, including Dire Straits (1992) and Luciano Pavarotti (2000), among others. In 2013-2015 both end zones received a new roof, which was later covered with photovoltaic panels. 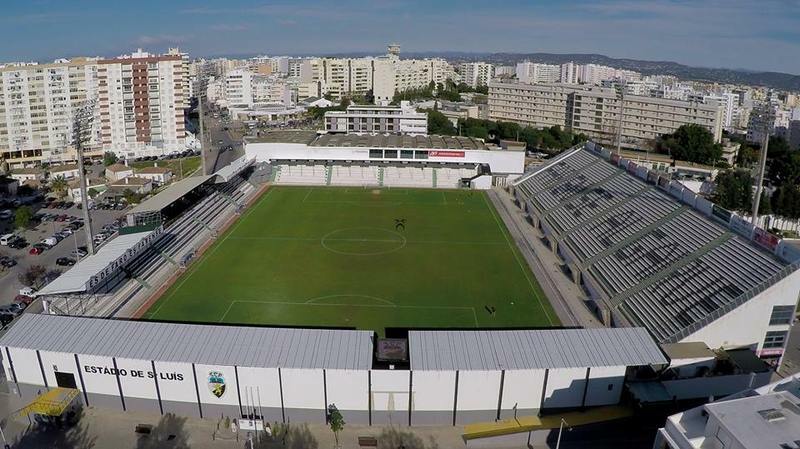 It’s worth mentioning that for a brief period the stadium became abandoned as Farense moved to the Euro 2004 venue, Estádio Algarve. 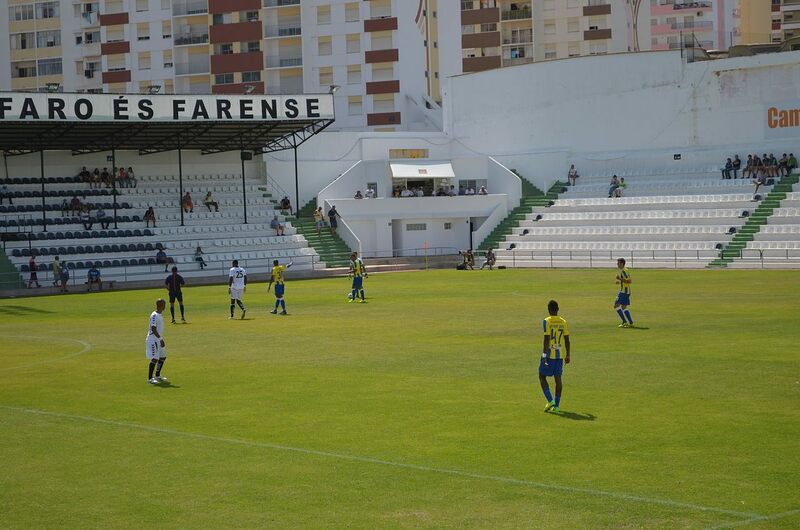 However, the large and remote stadium proved unpopular and Farense returned soon afterwards. 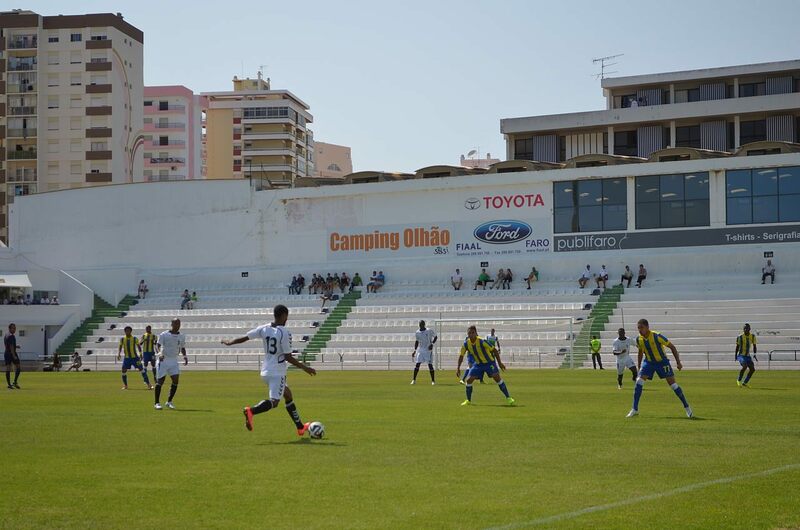 Thanks to the Portuguese defeating Wales we now have two more stadia from Portugal. One of them proved a much better home than a Euro 2004 stadium, the other was destroyed by a tornado.